Covering the best of motor racing of today and yesterday. 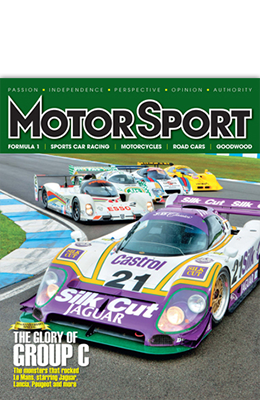 MotorSport magazine have been a partner of Canopy since early 2013. They have a very strong display sales team dealing with agencies & clients direct, and the inserts arena was something relatively untouched given time pressures on the internal team. Canopy are able to provide pain free revenue from a channel they do not have the expertise to resource themselves.